The determination of pH, conductivity, ion concentration, ORP and dissolved oxygen are common analyses in most laboratories. The measurement accuracy highly depends on the quality and treatment of the solutions used for sensor calibration and maintenance. We take pride in a long tradition of producing complete measurement systems, including a comprehensive range of top quality solutions. 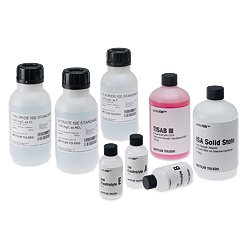 Traceable technical buffers, certified buffers and high-precision NIST/DIN buffers for your regular pH calibration, available in handy bottles or easy-to-use sachets. All solutions necessary to store and maintain your pH sensors to ensure accurate measurements and maximize sensor life. 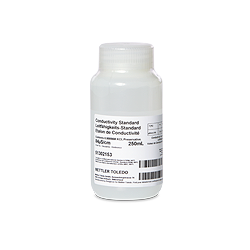 NIST traceable standards to cover a wide range of conductivity calibrations and verifications, available in handy bottles or easy-to-use sachets. 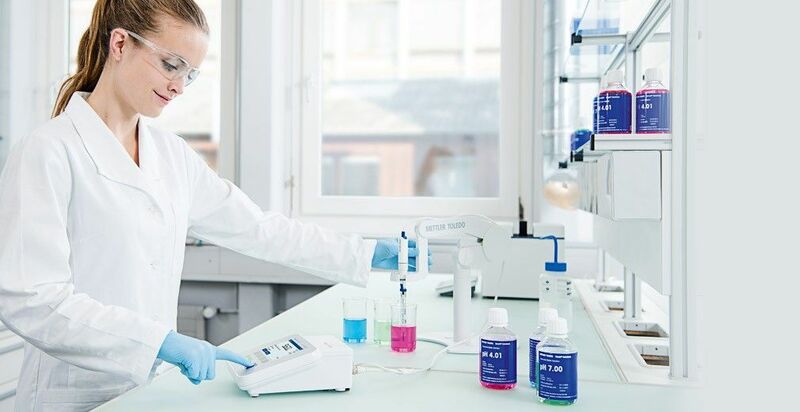 All solutions necessary for successful ion concentration determinations – from electrolytes, ionic strength adjustment solutions to calibration standards. High-quality ORP buffers for an easy verification of your sensor. Zero oxygen tablets allow easy standard preparation and are ideal for sensor calibration, verification and conditioning at low dissolved oxygen levels. pH measurements are only as accurate as the pH buffer solutions used for calibration purposes. 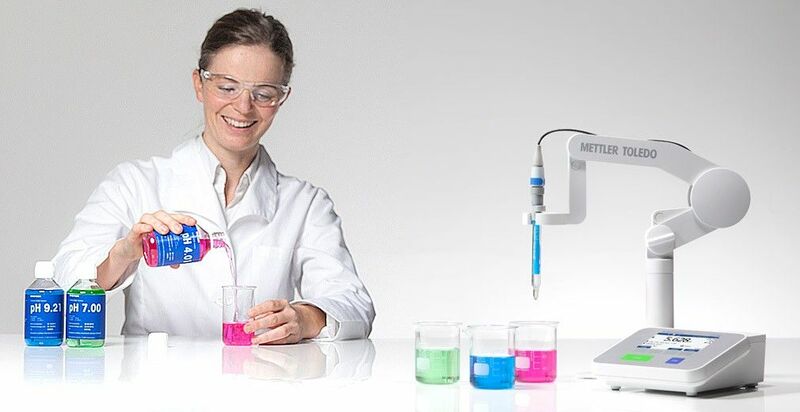 METTLER TOLEDO offers a selection of quality pH buffers to match your specific requirements. We guarantee maximum precision with NIST/DIN buffers and our test certificates ensure compliance and traceability. No matter if you look for technical buffers or buffers that are certified by an accredited body, you will find the right solution. Proper maintenance of pH sensors includes using high quality fill and storage solutions to extend the life of your sensor and improve uptime. High quality calibration solutions will contribute to accuracy and reduce instances of false OOS (Out Of Specifications) results. Increase uptime and decrease temporary shut-down by ensuring you are using only the highest quality storage, cleaning and calibration solutions. 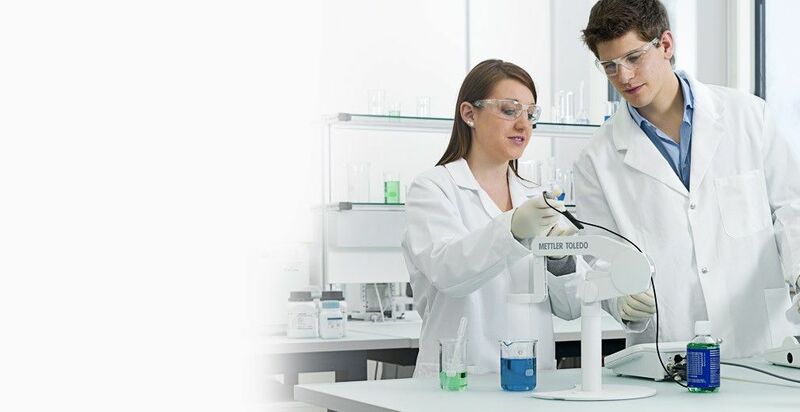 METTLER TOLEDO offers a comprehensive range of top quality buffers, standards, electrolytes, cleaning, and verification solutions for determination of pH, conductivity, ion concentration, ORP and dissolved oxygen. All solutions are available in small volume bottles either in packs or single and single use sachets. 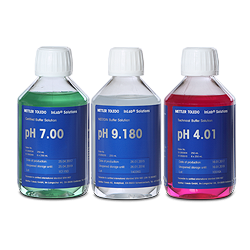 Why should pH buffer, standard and electrolyte solutions be used? Accurate solutions are the foundation of good measurement results. High quality solutions should always be used for sensor calibration and maintenance. 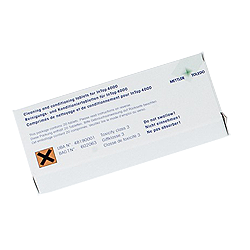 We guarantee maximum traceability by providing individual test certificates for every solution. Our expansive offering will ensure measurement precision and compliance in regulated industries while increasing uptime by extending the life of your sensors. Find the proper solutions for determination of pH, conductivity, ion concentration, ORP and dissolved oxygen. How can I optimize the use of my pH buffer, standard and electrolyte solutions? The quality of a solution is only guaranteed for unopened bottles that have not yet expired. Note the date on the bottle when the pH buffer, standard and electrolyte solutions are opened for the first time. Never pour dispensed pH buffer, standard and electrolyte solution back into the original bottle. Ensure that bottles containing calibration solution are not contaminated. 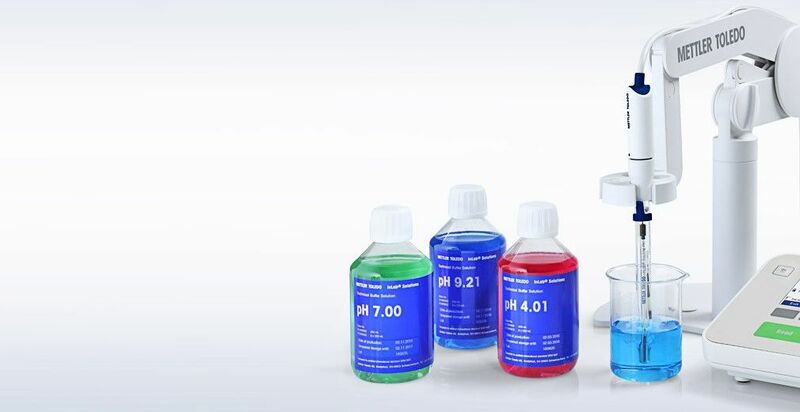 Replace pH buffer, standard and electrolyte solutions that have reached the expiry date or may be contaminated. Where can a certificate or a material safety data sheet for solutions be obtained? The certificates of all calibration solutions and many electrolytes can be downloaded at www.mt.com/buffer. The respective material safety datasheets are available at www.mt.com/msds. 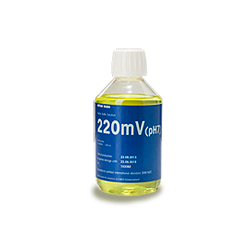 The reference electrolyte ensures a stable signal transmition. It closes the electric loop by. Due to its high ion concentration, the reference electrolyte conducts the electronic signal from the reference element (mainly Ag/AgCl) to the measured medium and thus closes the electronic circuit of the pH measurement system. How should I clean my pH sensor? Your pH sensor should be cleaned regularly. Reduced slope and/or offset or slow response time are an indication that your sensor needs cleaning. Fats, oils, and grease should be cleaned with a non-ionic surfactant solution or methanol. Proteins should be cleaned with a Pepsin-HCl cleaner solution. 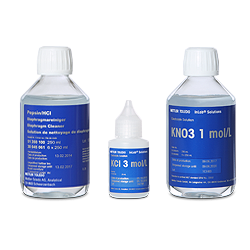 After cleaning, rinse the electrode with deionized water, recondition it in 3 mol/L KCl and then store in the InLab® Storage solution. What calibration points should I use? Calibration should cover the range of the desired measurement values. The most common pH sensor calibration method is two-point calibration. What should I store my sensor in? pH glass sensors need to be kept moist at all times. If an electrode dries out during storage, a regeneration procedure is required to restore the hydrated glass layer and the reference junction in order to make the sensor operable. As a general rule, store your pH sensor in the same solution as the reference electrolyte of the sensor. In most cases this is a 3 mol/l KCl solution. Sensors with a bridge electrolyte should be stored in the electrolyte of the outer electrolyte compartment.